Nobody wants to pay retail! That’s how we got the idea for a discounted gift cards store, so you can have a discount even when the sales are over or a better discount on Boxing Day! We are also helping to recover those unwanted, forgotten gift cards and reward people who will rescue them! 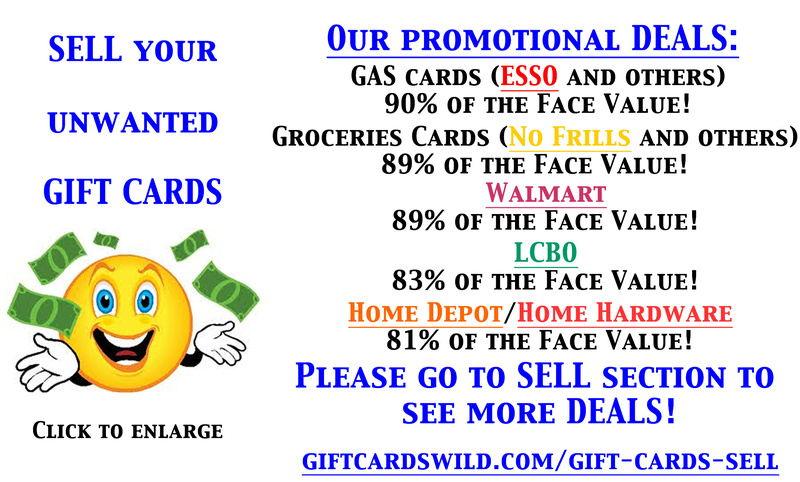 Be a part of our family and enjoy fun and excitement with GiftCardsWild.com! 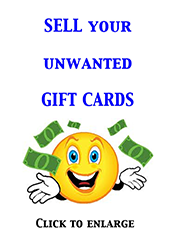 On our website you can find Gift Cards, Store Credits and Gift Certificates of major stores like Apple, Wal-Mart, Winners, Petstore, McDonald’s and others. Even if we are out of stock or you can’t find your gift card in our library, you have an option to create a Wish List so we can satisfy your appetite!